Let's become a savior with this mini-game my dear Pirates. 10 Xmas Rewards are waiting for Top 10 Saviors. Dont be fear - Straw Hat Pirates is here. Recently, I have received some questions about our game. It's such nice questions to help us understand deeply our game ==> Please help your Nami answer this question bro. 10 Xmas Rewards for 10 Great answers will be sent to your in-game account after this game ends within 48 hours. 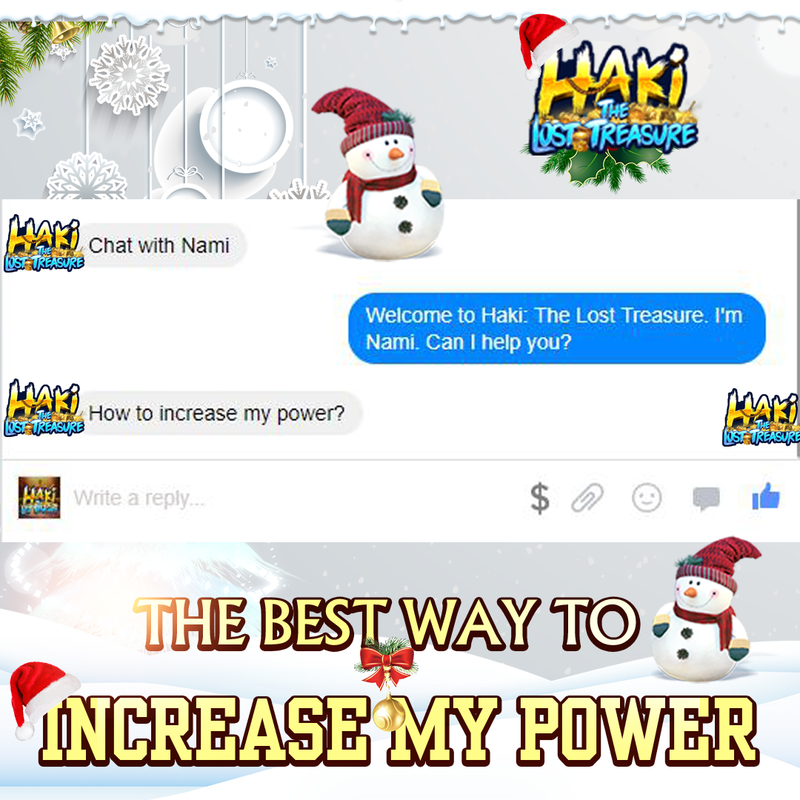 If you have any question, or if you wanna discuss anything, please don't hesitate to send us via our message box on fan page Haki - The Lost Treasure.